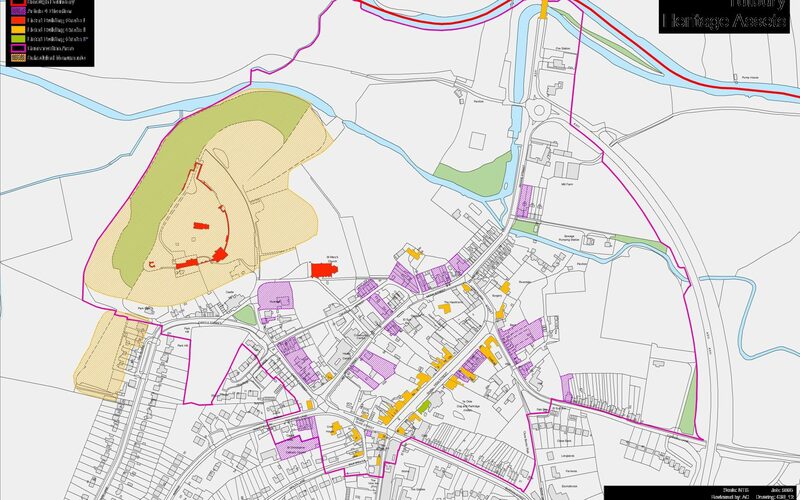 East Staffordshire Borough Council (ESBC) is the Local Planning Authority for Tutbury, but Tutbury Parish Council is a statutory consultee for planning applications within the parish. Below is a listing of any applications that are presently in the consultation period and you can see the full details for any of these by visiting the ESBC Planning Portal and entering the relevant application number. Alternatively search for recent application by following the New Applications link and select how many days in the period you want to you want to view. East Staffordshire Borough Council deal with all planning applications and their website has details of what iss required and how to go about getting planning permission. Follow the link to submit comments online. If you are interested in a planning application and want to inform the Borough Council of your views you can comment or object on the plans during the consultation period. Visit the ESBC website and place your comments online, by searching for the application reference number that starts with a P eg such as P/2018/00159, once you have located the application online, if comments are still available to be made there will be a link, click on the words Add comments Here to submit your comments, alternatively write to the planning officer managing the application via post or email. Details of which can be found under recent applications. Planning review calls for sweeping reform The Raynsford Review of Planning, led by former housing minister Nick Raynsford, has released its final report, Planning 2020. The report, commissioned by the Town and Country Planning Association, concludes that “the current planning system in England does not work effectively in the long-term public interest of communities or the nation.” The review makes a number of recommendations: establishing a “betterment tax” allowing local authorities to acquire land at its use value through compulsory purchase; communities to have the right to appeal planning decisions that contravene agreed local development plans; partial redistribution of capital gains tax and stamp duty for regeneration; organising planning into four tiers, with locally led development prioritized but with development corporations taking precedence in areas with specific needs; a national code for health, safety and wellbeing standards; a legal duty for local authorities to plan high-quality affordable homes; and the formation of a government department to allow national and local engagement on planning decisions. For further information*, click here. Tutbury Parish council will agree on the council’s responses to recent applications at each full parish meeting. Please see the schedule of meetings. If an application has a large impact on the parish, for example a housing development or a potential gas power generation unit, then a dedicated public meeting will be called. There are no separate planning meetings scheduled at present. Tutbury Parish Council do not currently have a neighbourhood plan. However, a meeting was held with a representative from the ESBC to investigate this for the parish please see the notes from this meeting. Since tgis meeting Cllr Beighton has been visiting community groups to form a commitee to move this forward.